TmFinder helps you to perform your trademark clearance search . 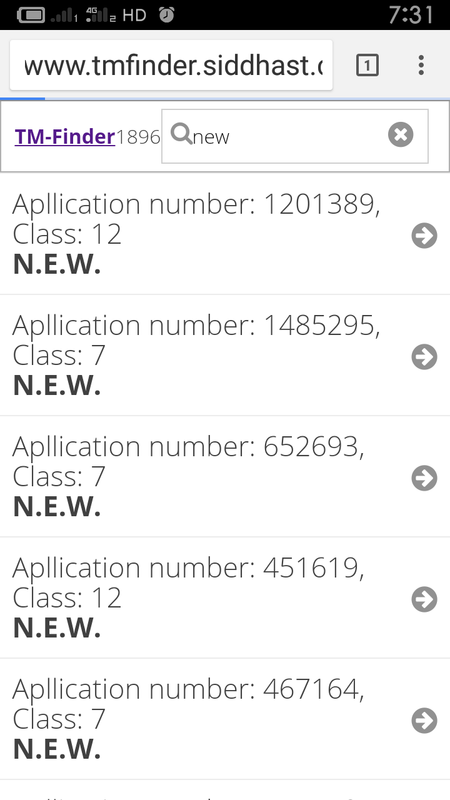 Presently Trademark Data of Indian Trademark office has been loaded. With this tool you can search trademark data both applied and registered without any restrictions of class. 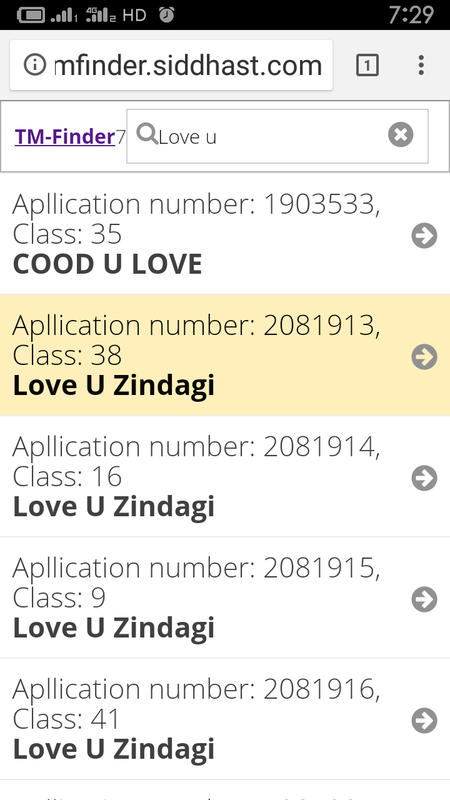 Tool is very use full to perform search when you are registering new trademark or applying for new company in Registerar of companies .